"This made the picture on my tv very crisp and clear. I am now getting more channels than ever with my antenna & digital box!" "Excellent cords at an amazing price, and they arrived very quickly. I'm impressed." "My order was received just as described; cables working well. SUPER prompt order fulfillment and shipping!" "Excellent communication, speedy delivery, product just what I was looking for! Thanks!" "Great company easy website to navigate. Fast delivery. I recommend this company." "This is the 2nd time I have ordered from this Co. Prices were great and the order was handled in an efficient and very timely manner. I would order from My Cable Mart again for all my cable needs. Good Job." "They always have the unique supplies that are hard to find and that's why MyCableMart is always my first choice. On top of that they have OPTIONS for these items between cable length and quality. Shipping is quick, efficient, and on time. Can't beat their prices either!" "Finally the right adapter! Bought new Sony XBR 4900F and needed adapter for an old Wii console. Sony TV did not come with adapter, unlike a Samsung TV I had purchased a few months prior to Sony TV. Bought online from Walmart what was supposed to be a Sony adapter, but unfortunately it did not work. Adapter had composite video connections (Yb, Yr, Yg). Then I decided to try directly from Sony. Guess what...I got the exact same adapter at twice the price!! Bought correct adapter from you guys and was so happy that it worked!!! The only thing that I had to do was to connect yellow to red and red to yellow to make it work correctly!" "Thanks, This is a quality product (heavy cable, molded ends) should last me a very long time." "This is the second order I placed through MyCableMart.com, and their professionalism is unsurpassed!! They are FAST and EFFICIENT!! Also, their customer service is unparalleled. THANK YOU MyCableMart.com!!" "I love My Cable Mart. So awesome"
"I love this company! I have ordered several products over the years and they arrive promptly - and are priced right - every time." "You can't go wrong ordering anything from this company"
"THE SEARCH ON YOUR SITE IS VERY EASY. QUICK SHIPPING, GOOD QUALITY. I RECOMMEND EVERY ONE TO SHOP HERE THE CABLE NEEDS"
"I thought the components I ordered may be of lesser qydue to the incredible price. But I was incorrect. They were of good quality. Fast shipping too! Will use mycablemart again!" "Tech support was awesome when I called. Thanks"
"I've used My Cable Mart for both business and at home. I like the knowledge provided about products which has been helpful. Its fast order placement and packed well. I have never had an issue with any order." "Give everyone 2 raises please." "Very satisfied ... nice product... quick service"
"Very excellent company with excellent products, excellent prices, I have no complaints!! I will shop here again." "you did really excellent job all the way...!" "Fast shipping, good price, quality seams good. Snaked 50ft cable through wall in a attic from tv to receiver Now my local antana channels come through my surround sound system. Works great." "Quality and customer service are excellent! My new go-to company!!" "I've placed a half-dozen orders over the years. Orders were processed quickly and products have worked perfectly upon arrival." "Great company, great products, great prices, great order processing (same day). 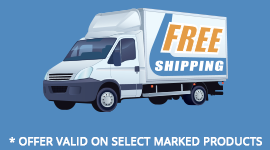 For the big orders there is free shipping. For small orders there is reasonable alternative." "This is my second order from Cablemart. Each time I found the response time to my inquiry or comment to be excellent." "Superior response to technical problem with adapter. I'd recommend Cablemart to anyone and will purchase here in the future." "This was my first experience with mycablemart and I was trying to find a very specific adapter. I wasn't having much luck on google searches and I came across mycablemart on my search. They had what I needed when others didn't. I called to verify the type of adapter and they were quickly able to answer my questions about the product and point me in the direction of the quickest way of receiving my product through different options of ordering. Thanks for the help!" "I had a couple questions which were answered quickly and throughly via email. Easy website to negotiate. Order arrived as promised. Several email updates on order progress. All good"
"Excellent technical support and ordering. Will certainly be using you again when required." "This website is the best I've ever ordered from...the prices and service are excellent. I will continue to use My Cable Mart for my audio and video cables." "Perfect...just what I needed, and they gave me excellent advise for what product would work. Thank You !!" "I just found mycablemart via Google search, ordered on a Saturday night, the shipping said expected delivery the following Saturday or Monday, but it arrived Thursday, several days early. The cables seen to be good quality, I've used them, I'll order more, no complaints." "Great tech help and fast shipping, products are good quality"
"Simply put, over the past few years all of MyCablemart.com purchase experiences have been very good. That's why I am a returning customer!" "Always top quality and fast shipping. There is no way to beat the prices, the product information is comprehensive, easy to understand and the purchasing is as hassle-free as it gets. I have been ordering all my cables from MyCableMart for some years and I have no reason to go anywhere else- they're just the best!" "My Cable Mart is a one stop on line vendor I use for all my sound and video needs." "All products that I've purchased over the years from MyCableMart have been of high quality and I've never had any issues with any of them. I will only purchase cables from this site in the future. It's a great site to deal with and they have great Customer Service." "I was pleasantly surprised at the efficient processing & shipping and receipt of my order which was flawless. I really can't suggest improving anything. Everything exceeded my expectations including the quality of the adapters and the price was fair"
"The only hassle with the order was Ebay itself, MyCableMart did a sterling job." "Absolutely the best quality wire/cables for audio & video for the best prices compared to anything else I’ve seen or used." "I share MyCableMart with everyone I know that needs cables, plates, etc. The price for value is the best I've found and every order I've made has been shipped and received quickly. Love these guys." "The ease of finding unique connections on a cable was great. Most stores do not carry the variety of cables offered by your web site." "You cannot beat My Cable Mart for anything, pure and simple. They have one of the easiest web sites to order from than any other place you will find." "Everything was great, except the shipping charge was high compared to none from amazon. However, amazon did not have this cable available." Response: We charged $3.71 for USPS FIRST CLASS MAIL PARCEL with full tracking and delivery confirmation. Your package arrived in 3 days. We also sell this cable on AMAZON for $3.71 MORE (there really is no such thing as free shipping - the cost of it still needs to be covered. "This is my second order from mycablemart. It will become my go-to company for phone power needs or electronic cords. Service was very good. I would give a 5 star rating." "You people have got to be the fastest I have ever found in online ordering in getting the product to me. I am amazed. Ya done good." "Great gizmo with inchoate, Chinese pictorial instructions. Thanks to verbal instructions provided by staff member Anthony, installation turned out to be easy. Once installed, the repeater proved to be extremely responsive and forgiving. Unlike when my electronics were exposed, my remotes now work from anywhere in the room. Once more, now that I tucked those electronics into a cabinet, the TV-sound bar look much more sleek. Special thanks to Cable Mart's Anthony for helping me out." "Website is easy to navigate. Ordering is easy. Email communication was spot on. Shipment tracking information was timely. Delivery time was great. By far, one of the best online experiences ever. Have already placed a second order." Response: Glad we appear to be doing things right! "Product was high quality and shipped quickly even over new years weekend! Great product and service as always."